and hire only qualified teachers. The debate over free schools has resurfaced with the Deputy Prime Minister Nick Clegg now voicing his disapproval of the precise freedoms that they have. In particular, Clegg argues that they should not be allowed to recruit teaching staff who do not have a recognised teaching qualification. Additionally, he feels that these schools should be obliged to follow the national curriculum. His comments come shortly after several controversial incidents at free schools. These include the now infamous Al-Madinah school in Derby, whose lessons were often failing to meet the requirements, according to a recent Ofsted report. The Conservative part of the coalition government disagrees. It maintains that free schools have been outperforming schools in the mainstream state sector, and will continue to, simply because of the new freedoms they have been given. Education minister Liz Truss says that in the private school sector, appointments of non-qualified teachers has been the norm for "hundreds of years". It is still early days for free schools. 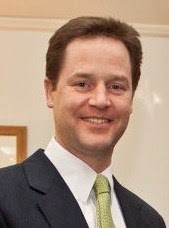 Some critics have gone further than Nick Clegg and suggested that academies and free schools are both stepping stones on the road to privatising education. Teaching unions have also voiced scepticism, suggesting that the government is trying to water down the status of professional teachers and discredit the teaching qualification. Clearly it is possible for a school to use any freedoms in a positive and constructive way. On the other hand, without good leadership, a school that does not have the structure imposed by a national curriculum and the requirement to employ only qualified teachers, could find itself floundering, as has been shown. What do you think about free schools? Let us know with your emails or comments.